Cakes are approximately 4 inches tall. There is a 2 inch layer of cake on the bottom ~ a layer of filling ~ a 2 inch layer of cake on the top. I also offer Cassata cakes – butter cake filled with Bavarian cream and strawberries and iced in vanilla buttercream. Due to the fragile nature, Cassata cakes are not available as a tiered cake creation. Want a fun surprise when you cut into your cake? We can tye-die or create a camo pattern for the inside of your vanilla cake! 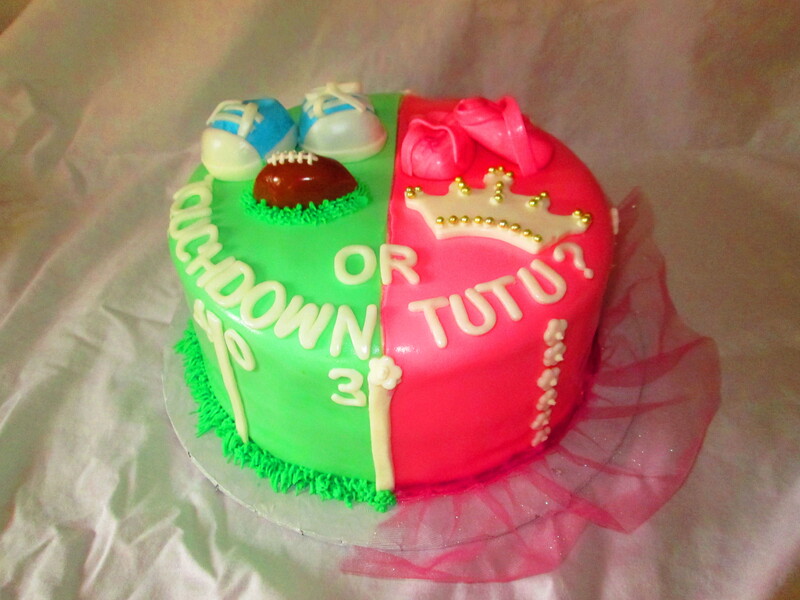 We also make gender reveal cakes. Ask about the colors you are interested in! There is an additional charge for this option.